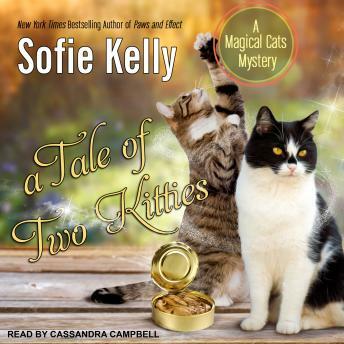 With a well-placed paw on a keyboard or a pointed stare, Kathleen's two cats, Hercules and Owen, have helped her to solve cases in the past-so she has learned to trust their instincts. But she will need to rely on them more than ever when a twenty-year-old scandal leads to murder . . .
Now it seems the brothers are trying to reconcile, until Kathleen finds Leo dead. The police set their sights on Leo's son and Kathleen's good friend Simon, who doesn't have much of an alibi. To prove her friend innocent, Kathleen will have to dig deep into the town's history-and into her sardine cracker supply, because Owen and Hercules don't work for free . . .